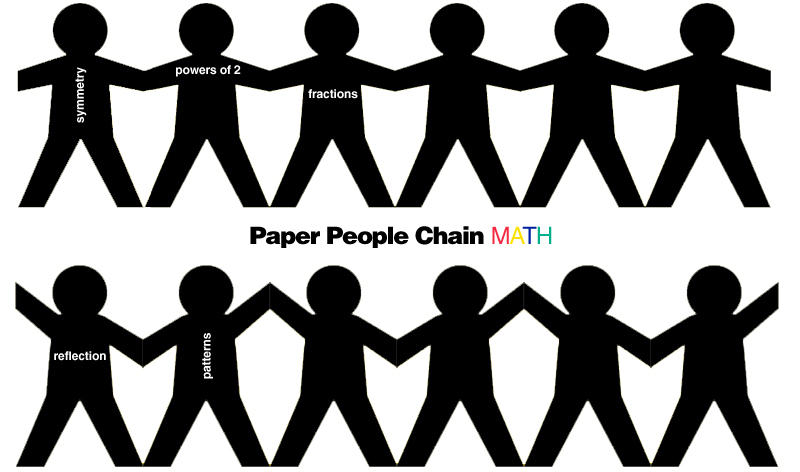 Paper people chain mathematics: visit Big Learning for details! To construct an alternating paper people chain (right arm up, left arm up), draw a full figure on the top square of your accordion paper. Make sure the hands extend to touch the folds. For a regular paper people chain, you only need to draw half a person on the top square of your accordion.